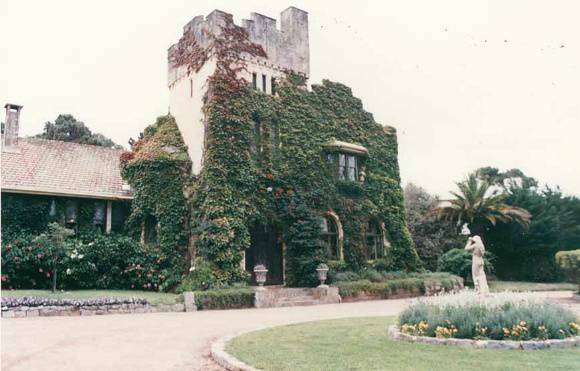 The architectural masterpieces, urban planning projects, and bohemian existence that characterized the life of Australian architect Harold Desbrowe-Annear are examined in this tribute to a major proponent of the arts and crafts movement in architecture. Both a member of the artist community and a friend to powerful members of the political establishment, Desbrowe-Annear produced works of merit that earned him awards and wide recognition in the early part of the 20th century. 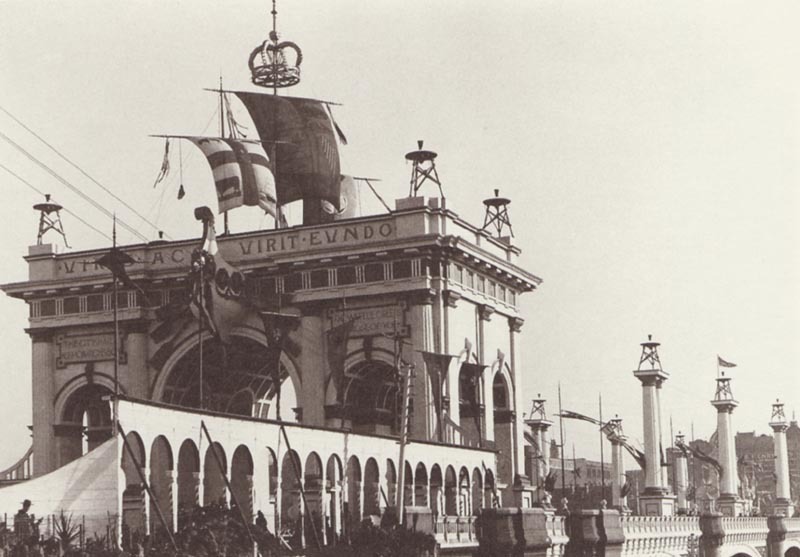 The ephemeral triumphal arch erected on Princes Bridge by the City of Melbourne was designed by Desbrowe-Annear in 1901 to mark the visit of the Duke and Duchess of York for the Federation celebrations. 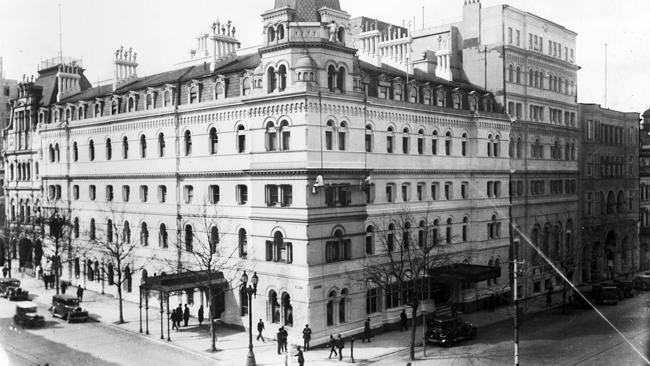 It was influenced by Beaux-Arts civic design and the ‘Arc de Triomphe’ in Paris. r-in-law James Chadwick in 1903. They are weatherboard with rough cast and half-timbering and exhibit many technological innovations including wall recessed, sliding window sashes, modular wall-framing and convection heating vents to fireplaces. Springthorpe Memorial, designed by architect Harold Desbrowe-Annear. The Victorian era memorial is at the Boroondara General Cemetery in Kew, Melbourne. The Springthorpe Memorial designed by Harold Desbrowe-Annear. The design was influenced by William Lethaby’s writings on the iconography of the domed temple form in “Architecture: Mysticism & Myth”. Consequentially the architecture is symbolic. The geographic alignment of the tomb ascertains that the intense light of the afternoon sun lights up the temple with brilliant colour. It explores the idea of the hoped-for union of souls. 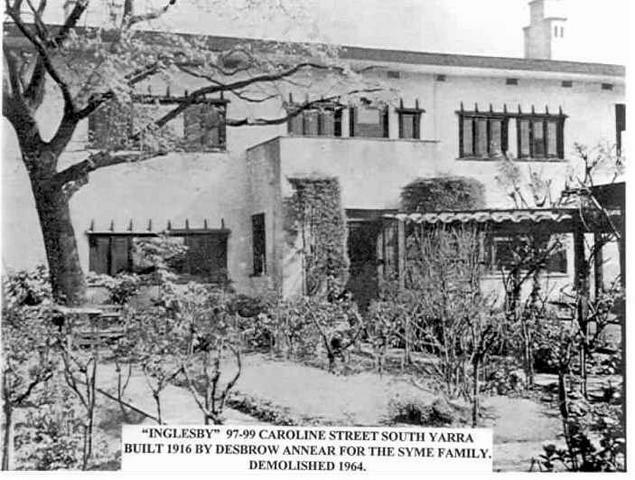 Inglesby, also called the Francis house, in South Yarra was one of Desbrowe-Annear’s most famous houses, identified by Robin Boyd as an example of Melbourne’s ‘pioneer modernism’. It was timber-framed with plain white roughcast walls inspired by Californian architect Irving Gill. The plan of Inglesby centred on a large hall entered from the porch. It was flanked either side by the dining room and the living room accessed through sliding doors which when opened extended into a huge living area across the front of the house. Inglesby’s low ceilings and horizontal flow aligned it also to the work of Frank Lloyd Wright.